Digital Labels Heating Up. Digital solutions enjoyed strong presence at Label Expo 2015.. The latest in label production was highlighted at Label Expo Europe from September 29 to October 2, 2015 at Brussels Expo, Brussels. Hosted by the Tarsus Group, the event serves as a premier stage for the label and package printing industry, featuring new products and live demonstrations. 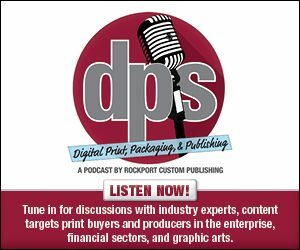 Well-known players in the digital print space continue to expand the capabilities of label marketing, opening up new doors for cost-effective, short-run printing enabling more SKUs and personalization. As big, multi-national brands, such as Budweiser and Coca-Cola showcase technology to the mainstream, it’s an exciting industry to watch. Below we provide a sampling of product highlights from Label Expo 2015, showcasing some of the latest innovations steering the label production industry into new directions. ADSI highlighted the global launch of three new iTech digital label systems. The company introduced the ADSI iTech CYPHER and the ADSI iTech SPECTRUM digital label printers, as well as the ADSI iTech AXXIS XL digital label finisher. The speed of the new ADSI iTech AXXIS XL digital label printer matches that of the company’s wider digital label finisher, the iTech CENTRA HS, bringing high-end performance and productivity to narrow web. The narrow format finisher can laminate, cut without the need for dies, strip, slit, and re-wind labels at speeds of up to 30 feet per minute. To do this, it features a unique vacuum accumulator technology that enables media to ride along a pillow of air, its motion constantly monitored by an array of LEDs and sensors. Additional new features for narrow web are larger 14-inch input and output roll capabilities for longer unattended operation, and continuous cutting to provide a smoother slit before the rewind. The iTech AXXIS XL uses SMARTMark Optical Registration technology to assure precise label reproduction, where cuts are accurately registered to the artwork. ADSI leverages the HP PageWide inkjet technology to create its new ADSI iTech CYPHER digital label printer. With resolutions up to 1,200×2,400 dpi, CYPHER produces high-quality labels using durable pigment inks for deep blacks and vivid colors—all at a low cost of ownership. The new, fast roll-to-roll inkjet print engine delivers speeds up to 20 inches per second, and is capable of printing on either pre-diecut or continous roll substrates. Finally, the company announced the addition of an improved LED toner engine to its product line. Based on the technology used on the AXXIS HS printer, The iTech SPECTRUM is a fast narrow web digital label printer, capable of printing up to 25 feet per minute, in part due to an improved, straight-through paper path. BST showcased a series of new and advanced products to emphasize its position as a provider of quality assurance and process automation solutions for label applications. The company featured EcoGuide, a low-cost entry-level solution. The new web guiding system features a brushless drive, making it maintenance fee. In addition, the company’s presentation included the seamless interplay of a wide-array sensor from its subsidiary AccuWeb with the ekr 500 digital controller. These sensors have a large sensing range and can detect two edges for web center control. Sharing a stand space with Roland DG Europe, CMA Imaging demonstrated its full range of software and packaging solutions, which are designed to simplify the route to correct color management and proofing using digital devices. The company’s products operate through a Web-based interface to bring real-time viewing locally and remotely, complete with the ability to edit print jobs on the fly and add print-and-cut parameters where required. As well as its software solutions for packaging and labelling print specialists, CMA Imaging’s substrates for this sector simplify proofing and sampling, and are specifically coated and profiled for Roland DG’s VersaCAMM Vsi series of wide format devices that feature both print-and-cut capabilities and metallic and high-density white ink options. Focused on providing continuous innovation to the digital printing industry, Colordyne Technologies demonstrated improvements in print speed on the show floor. The 3600 Series Production Class platforms featured a new Enhanced Efficiency Mode offering running speeds of up to 325 feet per minute (fpm) at 1,600×1,175 dpi, in comparison to 275 fpm at 1,600×1,375 dpi. The increase in speed is made possible through a minimal reduction in print resolution in the web direction, allowing for nozzles to be fired faster through Memjet printheads. Colordyne also showcased the newly launched 2600 Series Mini Press from the company’s Commercial Class line of products. The Mini Press prints short-run digital labels at 60 fpm at 1,600×1,600 dpi. Show attendees saw how the Mini Press’ robust, dually supported frame and servo-driven web handling system allows customers to produce longer run lengths, like the Production Class system, but with a smaller footprint. ColorGATE presented its Rapid Spectro Cube (RSC) color measurement and profiling system for the creation of ICC profiles, especially targeting industrial digital printing applications. RSC contains an ultrafast color measurement system and software for ICC profiling. RSC can take substrates right up to a size of 600×600 milimeters (mm) with a maximum substrate height of 80 mm while processing as far as 10,000 patches per target. Even color measurements of complex substrate surfaces such as ceramics, glass, textiles, or metal are possible due to special optimizations. Dantex launched the PicoColour II UV inkjet digital label press, a 210 millimeter wide machine running up to 35 meters per minute and using Xaar 1002 GS6 printheads. The press is available with CMYK and optional white. It can be used in conjunction with optional Corona treatment, PicoColour for paper as well as filmic based media. DALIM Software illustrated how its solutions improve label and packaging production. It featured the newest capability of DALIM ES, which makes annotations on 3D image files. This is a helpful when the supply chain is reviewing labels on a 3D CAD drawing. With DALIM ES 4.5 all activities—in-house or externally—are coordinated from design to final print, including regulatory compliance, localization, and versioning to ensure efficiency. The recently added feature of ES 4.5 to view 3D files enables users to view 3D models of labels on cans, bottles, or other packaging. The company says that with the next release of ES, users will not only be able to open 3D files, but can leave annotations on them. They will also conduct a visual compare between two 3D models to review the differences, similar to what is currently done with two-dimensional PDF files. Visitors also saw online file editing with CHILI Publisher, as the solution integrates seamlessly and transparently within DALIM ES. With this, users can access files within DALIM ES and conduct online editing. CHILI Publisher provides powerful editing capabilities and comes with an extensive feature set that was previously only available in dedicated publishing applications. System integrators can choose how to incorporate CHILI Publisher within their DALIM ES workflows, suitable for packaging, brand management, Web to print, magazine publishing, and yearbook applications. Durst launched the Tau 330 E, a single-pass UV inkjet label press designed for small- and medium-sized label converters. The system uses Xaar 1002 GS6 printheads and is available with four or five colors, offering a print speed of up to 157 feet per minute and the choice of two print resolutions. Standard print mode features 720×160 dpi and super hig-definition print mode offers 720×1,260 dpi. EFI showcased unique technologies for automated label production including the EFI Jetrion 4950lx LED narrow-web inkjet press with inline cutting, slitting, and scoring; faster, integrated EFI Fiery software for Jetrion presses; new EFI Enterprise Packaging Productivity Suite ERP software; and the EFI GamSys MIS for small- and mid-size label converters. The Jetrion 4950lx press features integrated finishing, a 720×720 dpi resolution, and a faster, 164-feet per minute speed. The press’ LED platform offers a cool cure advantage, giving converters the opportunity to print on a broader range of substrates that cannot withstand the heat required with other curing or drying methods. Label converters looking for ways to improve their management and production workflow could view EFI’s new Enterprise Packaging Productivity Suite. Each of EFI’s Productivity Suites is modular, allowing users to configure the Suite to meet their specific needs. The workflow solution optimizes scheduling for more on-time delivery, decreases waste, and provides better insight into the business for increased profit margins. EFI Radius ERP software is at the heart of the Packaging Suite. The enterprise software solution features industry-specific functionality for converters with multi-company, multi-plant, multi-currency, and multi-language environments. Working alongside Radius is the PrintFlow Dynamic Scheduling solution, which automates and intelligently schedules thousands of tasks and sequences them to minimize switchover and setup time. Additionally, the suite’s Business Intelligence solution provides converters with comprehensive, real-time data in an intuitive point-and-click environment. On the show floor, visitors could see GamSys MIS fully integrated with the EFI Digital StoreFront Web to print solution and EFI Metrix imposition software. Developed for small and medium-sized businesses, GamSys optimizes the production process by creating visibility on the production floor, managing order and production information efficiently, while controlling costs. Four Pees, together with Global Vision and Creative Edge Software, presented packaging solutions at the show. Highlighted, the IC3D Suite is a rapid packaging visualization tool catering to a broad range of product types and allows visualization early in the design or ideation process and in a much quicker fashion than traditional 3D design tools. IC3D Automate, the latest product from Creative Edge Software, offers automation of 3D packaging visualization. Automate uses the technology from IC3D Suite and allows it to be integrated with any common production workflow, DAM solution, or automation tool. IC3D Automate will open an IC3D design file hands free and run automated actions on it, ranging from replacing textures or artwork, outputting high-resolution images at specific camera angles, and generating 3D PDF files. Also showcased, Global Vision’s suite of advanced solutions, which feature text-based, pixel-based, barcode, and Braille inspection technologies, and are designed to eliminate printed artwork and copy-related errors, providing end-to-end security at every stage of the packaging workflow. HP showcased its portfolio of labels and packaging products, including new features and upgrade packages, software enhancements, and new financing options. Of the announcements, the company demonstrated new HP Indigo WS6800 Digital Press enhancements, including a Color Automation Package, new HP ElectroInk fade resistant ink set, enhanced media versatility, and integration with leading digital workflow solutions. Additionally, HP exhibited new upgrade packages for the HP Indigo 20000 and 30000 Digital Presses. The packages extend the media gamut and are designed to improve productivity. The HP Indigo 20000 upgrade package includes a new slitter, reinsertion capabilities, and HP ElectroInk White for shrink sleeves. The HP Indigo 30000 Digital Press upgrade package features new options for metalized substrates as well as reinsertion capabilities. Also showcased was the new HP SmartStream Designer for Adobe Illustrator CC2015, which includes access to HP SmartStream Mosaic and offers an easy-to-use, feature-rich VDP plug-in solution. HP SmartStream Mosaic delivers customized campaigns where every copy is different, helping HP customers deliver unique solutions to leading brands worldwide. HP Indigo Financing, a new offering from HP Financial Services, gives customers the freedom to choose how and when they pay for any HP Indigo product, featuring the flexibility to customize monthly payment cycles with a multi-step structure. INX International Ink Co. offered a complete arsenal of equipment and solutions available for labels, flexible packaging, and folding cartons, including demonstrations of the NW210 inkjet UV digital narrow web press. The NW210 is a key addition to the company’s EVOLVE Advanced Digital Solutions, offering best-in-class image quality performance with advanced technology. It delivers fast UV-LED cure single pass output at up to 80 feet per minute, powered by the JetINX Printhead Drive and Ink Recirculation System. A version is available featuring a Spartanics X210 laser die-cutting station. The NW210 is known for producing vivid color results, with easy separation of printed labels on any stock at a maximum printing width of 210 millimeters (mm). It does so using the latest Xaar patented technology that includes 15 Xaar 1002 printheads with seven drop sizes, five color ink channels, and three additional channels that provide an option. The press supports media up to five mm thick on three-inch cores up to two feet in diameter. An array of inks for Tag & Label, UV Flexo Shrink Label, Low Migration food packaging, and Prodigy jettable fluids for industrial applications were also displayed. Label Traxx MIS offered an exclusive preview of its software version 8. The release marks the launch of three new modules, as well as a host of other new features. Version 8 features include the API Module, Dashboard, and Financial Center. The new API module enables users to share data with many other systems that support HTTP and SOAP protocols. The new Dashboard module from Label Traxx enables users to view data generated businesses in new ways. The The Financial Center module offers a solution for managing financial accounting within a multi-plant business. The company also introduces new two-way communication with the Xeikon press. Previously Label Traxx would send job data and artwork files directly to the press. Now, once the job is finished, toner use is sent back to Label Traxx, resulting in data entry, reduced up-time on press, and instant access to accurate job costing data. The MBO Group proudly demonstrated three finishing solutions for the label and packaging industry. Showcased for the first time, products include the MBO Smart Folding Carton System, MBO Digital Label Outsert Line, and MBO All-in-One Automated Business Card Production and Packaging System. MGI previewed the newest addition to its Inkjet product family, the web-fed JETvarnish 3DW and iFOIL W.
The JETvarnish 3DW and iFOIL W system is an integrated, roll-to-roll print embellishment solution, which is well suited to the label and flexible packaging marketplace. It provides critical customization and Foil-on-Demand short-run capabilities for runs from one to 100,000 pieces, as well as Variable Data Foiling options for mass personalization. The new JETvarnish 3DW and iFOIL W system adds shelf impact with colorful, special effects that improve brand identification and consumer perception. For printers and converters, the new MGI digital system supports the strengthening of customer relationships via rapid prototyping, short-run customization, and production-strength power. The system produces 2D spot UV coating, 3D embossed varnish textures, and embossed foil effects all in one pass. The full JETvarnish 3DW and iFOIL W solution also includes a flexographic priming station for substrate surface management. MGI integrated this unique pre-treatment process inline to optimize the rendered input for digital enhancement effects. Michelman showcased its DigiPrime printing primers formulated specifically for HP Indigo presses. DigiPrime is a line of water-based, HP-recommended/certified primers designed to improve ink receptivity, rub resistance, and image quality on most types of paper, plastic, metallic, and film substrates. At the show, the company introduced DigiPrime 680, a primer formulated specifically for use in the in-line priming unit of the HP Indigo WS6X00 series of digital presses. The company also highlighted DigiPrime 4431, a flexo and gravure ready primer that provides excellent adhesion of HP Indigo ElectroInks to film and paper substrates printed on HP Indigo digital presses. Michelman also features two DigiPrime primers formulated for the HP Indigo 20000 and 30000 digital presses, DigiPrime 050 and DigiPrime 060. Additionally, Michelman introduced DigiPrime 4453, a water-based, flexographic and gravure ready primer approved for use on Xeikon digital presses. DigiPrime 4453 provides ideal ink adhesion to most IML films, improves rub resistance, and is Xeikon-approved for use with Xeikon dry toners—including QA-I toner, ICE toner, and Cheetah toner, which respectively run on the Xeikon 3000 Series and Xeikon CX3. The company says it is particularly effective for difficult applications such as in-mold label printing and is suitable for food contact. The versatile DigiPrime 4453 is commonly used as a primer for digitally printed labels and flexible packaging, while it can also be used in conventional offset and UV printing applications. SPGPrints demonstrated the potential of its DSI digital UV-inkjet press and workflow. The company also focused on computer-to-plate and computer-to-screen imaging, and rotary screen printing technology for labels and packaging. Available in widths from five to 21 inches, the DSI press is a high-performance alternative for print runs up to 15,000 linear feet and variable data printing. CMYK, intermediate inline LED pinning stations, and chill drum are standard. The press can be configured with up to six extra stations, including orange and violet to make 90 percent of the color gamut, digital white with 93 percent optical density, and a digital primer. The DSI incorporates Xaar 1002 GS6 printheads. SunJet, the global inkjet division of Sun Chemical, presented its next-generation, single-pass inkjet inks designed for optimal output in a range of narrow web, label, and packaging applications. The company demonstrated the latest technical advances to its UV curing low migration Etijet range for narrow web and labels and Amphora inks for general packaging applications. First introduced to the market at Labelexpo 2013, SunJet has used its expertise and understanding of single pass inkjet technology to drive its inks forward to deliver optimum performance, quality, and efficiency. Both ink ranges are fully compatible with new generation printheads and are suitable for use in a range of food and sensitive product packaging applications. SunJet also presented printed samples of its new functional water-based inkjet ink technology, Aquacure, which offers excellent adhesion to a range of substrates, is odor free, and has an extensive color gamut. SunJet also showcased joint development initiatives in inkjet ink solutions for labels and packaging together with OEM Partners. Xaar launched the Xaar Print Bar System. This new system incorporates the Xaar 1002 family of high-precision industrial printheads and adds single-pass inkjet capability to analoge web and sheet-fed presses. Users can take advantage of the benefits of digital printing easily and economically and deliver more creativity to their customers. The Xaar Print Bar System is versatile, easy to configure, and ideal for personalized, variable data, special effects, and short-run printing for a range of applications, including labels and packaging. By using Xaar 1002 printheads with TF Technology the new system handles a range of inks and fluids, including spot colors, protective lacquers, high-build spot varnish, heavily pigmented high-opacity under-surface whites, cold foil adhesives, and metallics. As a result, print providers now have the ability to add special effects and variable data digitally, saving the considerable cost and time associated with analoge production methods. The Xaar Print Bar is a complete ‘ready-to-use system’ featuring a choice of Xaar 1002 printheads, an ink supply system, and full print management and workflow capabilities to ensure total control of the print process. The Xaar Print Bar System was shown both as a stand-alone unit and integrated within the Fujifilm Graphium hybrid press where its capabilities were seen live. The company also demonstrated workflow software, which enables the successful integration of the Xaar Print Bar System within an analoge press. Several companies demonstrated Xaar-enabled digital label presses at Labelexpo, highlighting the ability to produce consistently high print quality labels, including the use of high-viscosity white and digital varnish.